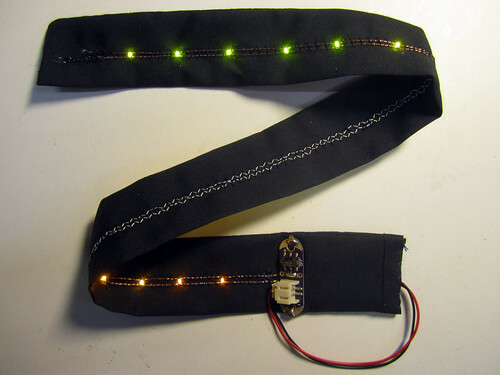 – Using a sewing machine, sew two parallel lines of the solderable conductive thread to the fabric by zig-zaging over them with a regular (non-sythetic) thread. – Solder on the LEDs. 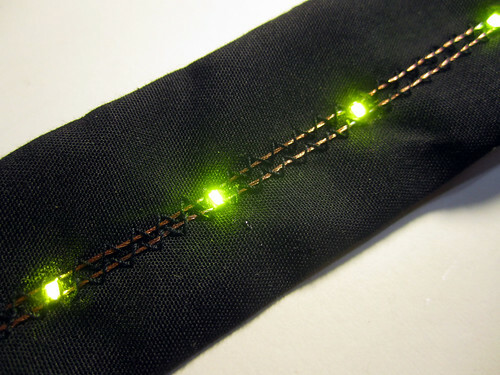 – Cut the conductive thread on one of the leads and insert the 10 Ohm resistor. 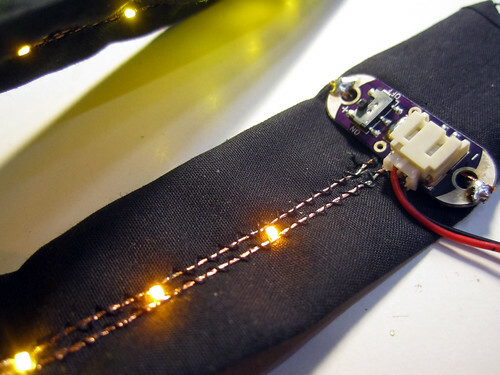 – Sew and solder the LilyPower module. – Plug the battery and turn on. – Use stuffing or padding with translucent gauze fabric to diffuse the light if desired.